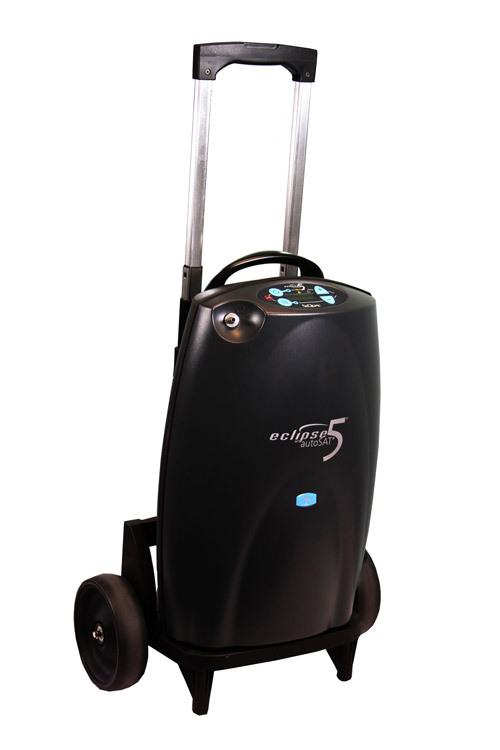 Eclipse 5 Sequal Portable Oxygen Concentrator - Oxygen Choice. Sequal Eclipse 5 Portable Oxygen Concentrator is the Most Robust and Reliable POC on the Market. Pulse Dose volumes from 16mL to 192mL autoSAT Technology helps maintain a consistent FiO2 by servo-controlling the device to meet the patients changing respiratory rate. When choosing Oxygen Choice you have the confidence that your oxygen concentrator, whether it be the Sequal Eclipse 5 Portable Oxygen Concentrator or a different model, it will be delivered to your door by a trained technician who will explain all aspects of your machine including initial setup, recharging, power management, safety tips and oxygen settings. It’s all part of the our service.